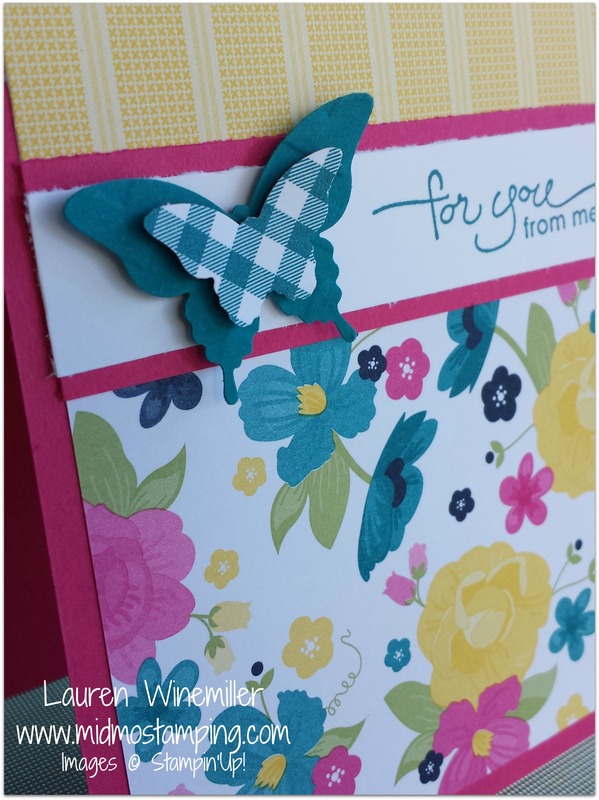 This is one of the cards we will be stamping TOMORROW (Tuesday 7/30) for this month’s Card Class. 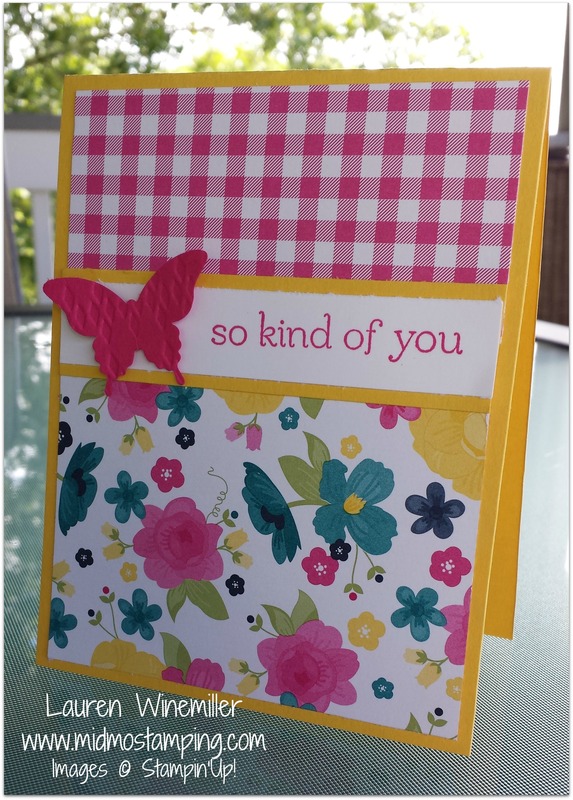 Come Stamp with us and create 3 different cards for just $5 or FREE with a min order. Hope to see you at McAlisters!!!!! Don’t forget, This month is Buy 3 Get 1 FREE with our Designer Series Paper, so the next three days will feature cards featuring designer series paper! 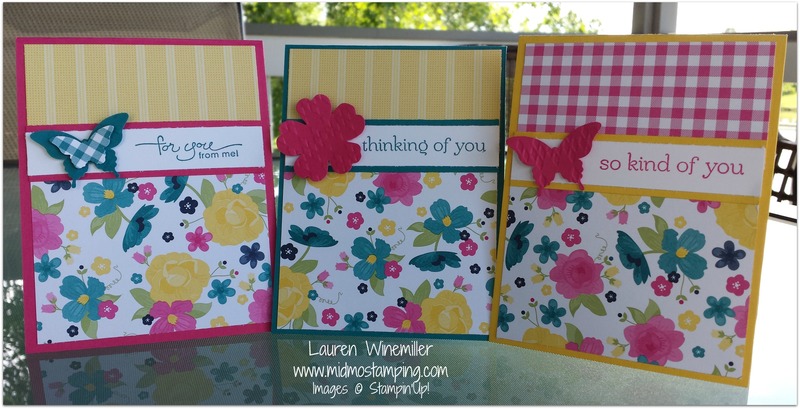 Have a Fabulous Day and Happy Stamping!!!! 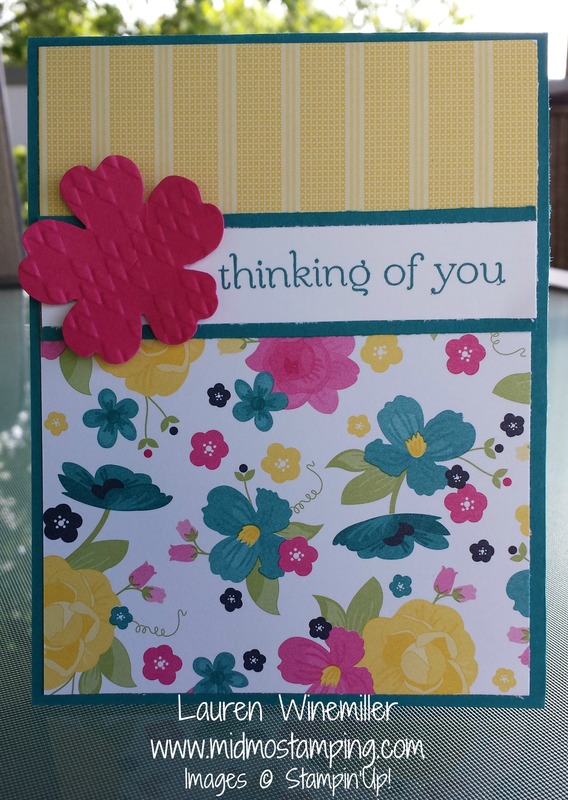 *** Sign Up Now for my Serene Silhouettes Card Class on August 2nd, to create 3 cards featuring the Serene Silhouettes Stamp Set! They look great — I think I’m going to have to case them. Now to go look in my mounds of hoarded paper to find the Gingham Garden DSP!! !